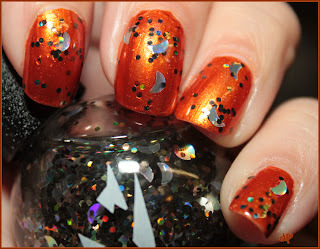 The one with China Glaze Cross Iron 360...and a glitter topper you've seen before? Happy Tuesday! 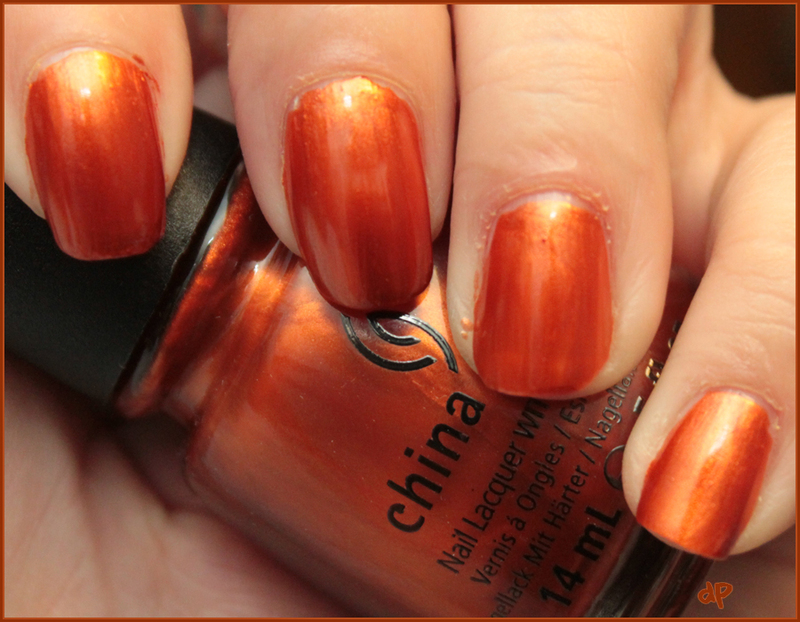 Today I have an odd assortment for you - beginning with China Glaze Cross Iron 360, which I snagged at Sally's as part of the Haunting collection. 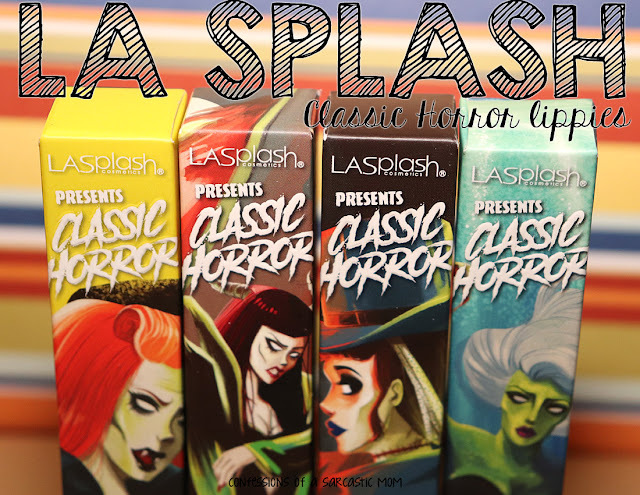 Wait, you say, Cross Iron 360 isn't supposed to be a part of the 2011 Haunting collection! It's from the 2009 Ski collection! Yes, you're right. 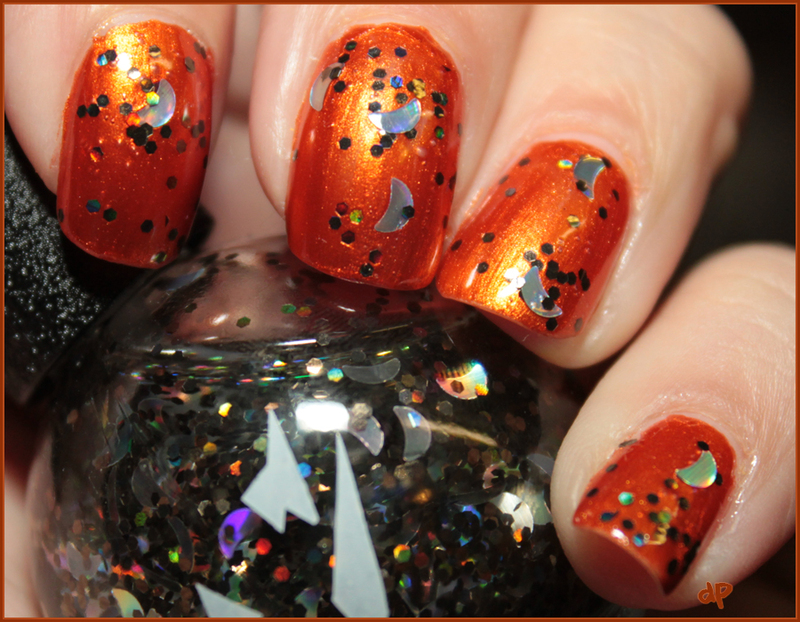 For whatever reason, Sally's made a special request to China Glaze to include Cross Iron 360 in this year's Halloween collection. Weird. 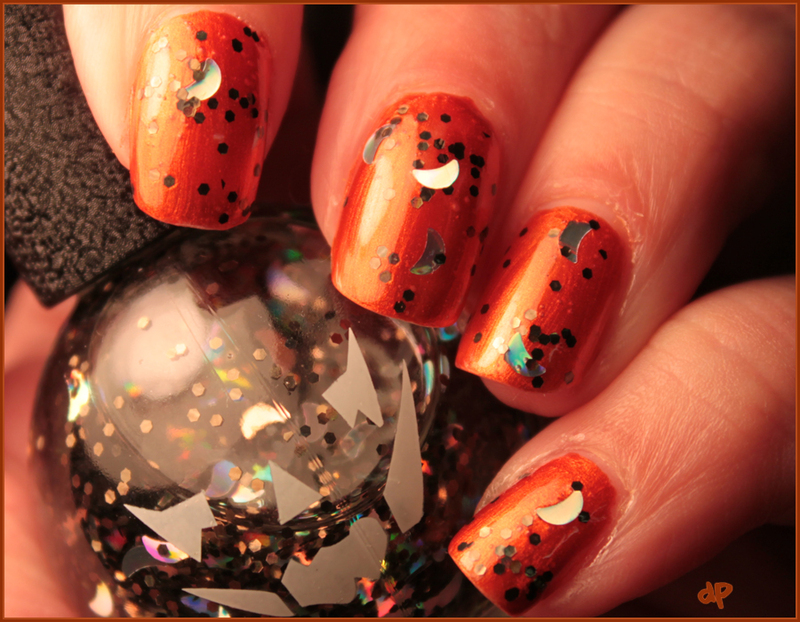 ...and I got these CUTE pumpkin polishes at Rite Aid, and I noticed something. One is a clear jelly base with round black glitter and silver moons. Sound familiar? It looks just like the Color Zone polish from yesterday's post! 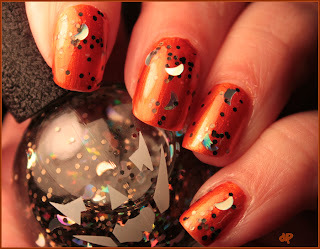 It's probly safe to say the pumpkin polishes and Color Zone polishes are made by the same company. They are identical, especially in formula. They even had the same sort of goopiness. My only complaint is that the moons are so sparse. You're lucky to get one on each nail. I had to dig around to get the ones I got!